The family left Ripley County, Indiana, about 1876 for Buffalo, Wilson County, Kansas. John Stark was a soldier in the Spanish American War and served in Cuba. He lived a number of years in the Soldier’s Home in Leavenworth, Kansas. This entry was posted in Ripley County and tagged Barrell, Bauer, Butler, Fike, Groth, Hardy, Johnson, Longenecker, McManus, Rosillo, Stark, Stover, Tyson on September 22, 2014 by oahblog. James immigrated to Indiana in 1814, probably from Jefferson County, Tennessee. He left in 1846 for Ft. Madison, Iowa. Because the Quaker records indicated the family moved from Chatham, Orange County, North Carolina, to Surry County, North Carolina about 1794, it was not certain whether James Boyd was born in North Carolina or Tennessee. When a copy of his death record was located in Mt. Pleasant, Henry County, Iowa, it stated his place of birth was “East Tennessee,” and a copy of his 1883 obituary stated he was born in “Severe” County, Tennessee. This entry was posted in Union County and tagged Butler, Gilken, Graham, Hord, Kemp, Park, Stanton, Williams on September 21, 2014 by oahblog. Charles left Indiana in 1936 and moved to a chicken ranch in Petaluma, Sonoma County, California. He served in both World War I and II. This entry was posted in Daviess County and tagged Butler, Dyer, Gaither, Higney, Hough, Pankey, Stewart on September 17, 2014 by oahblog. 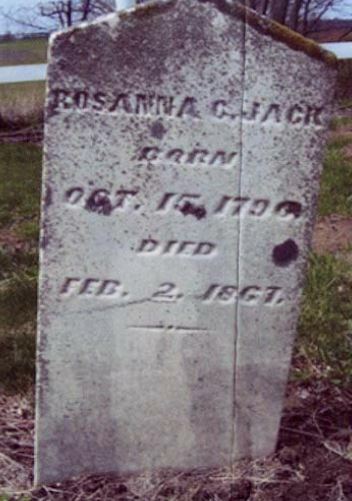 Rosanna moved to Switzerland County, Indiana, in about 1819 from Kentucky. She appears in the U.S. Census from 1820 through 1860 in Switzerland County. Samuel was a Presbyterian and he served in the War of 1812. He moved to Switzerland County, Indiana, in 1819 from Gallatin County, Kentucky. He had entered land there in 1816 and is shown in the 1820 and 1830 census in Switzerland County. He was a farmer and a Democrat. 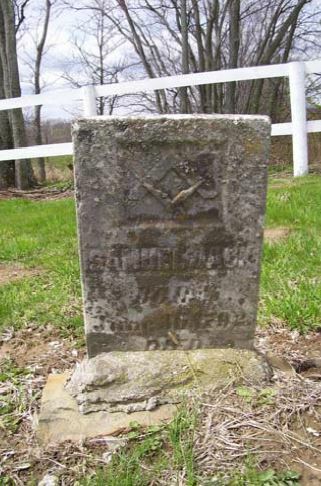 He was a Justice of the Peace in Switzerland County, 1821-38, 1832-34, and was a Freemason. Samuel Jack served in the House of the Indiana General Assembly, 1829-1830. This entry was posted in Switzerland County and tagged Butler, Hampton, Jack, Mason on July 9, 2014 by oahblog.